Probability of event A occurring P(A) = n(A) / n(S). Probability of event A not occurring P(A') = 1 - P(A). Probability of event B occurring P(B) = n(B) / n(S). Probability of event B not occurring P(B') = 1 - P(B). 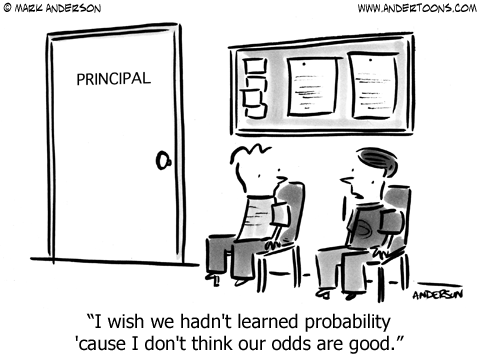 Probability of both events occurring P(A ∩ B) = P(A) x P(B). Probability of either events occurring P(A ∪ B) = P(A) + P(B) - P(A ∩ B). 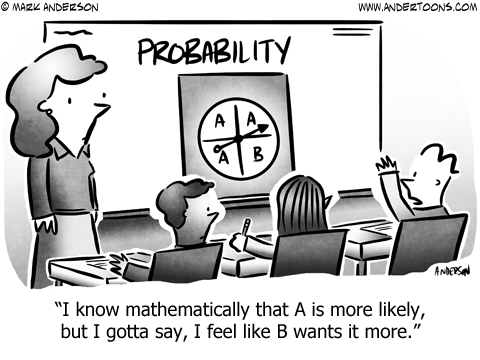 Conditional Probability P(A | B) = P(A ∩ B) / P(B).